The 27th annual Stuart Airshow at Whitham Field is underway. This year, the show runs from November 4th through the 6th. Dave Padden, his wife, Victoria, and friends were there for the opening ceremony on Friday night. 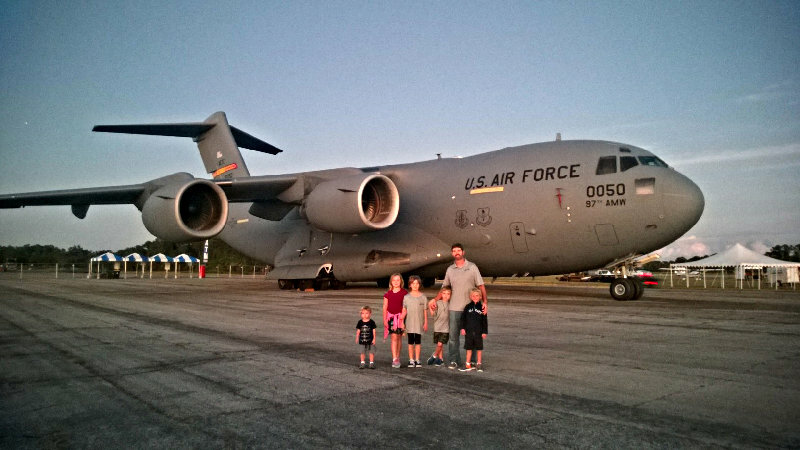 The airshow is a weekend of family fun and a great way to celebrate and commemorate our military and veterans. It’s a special event for us at Padden Design Engineering because of our involvement with some of the airshow sponsors’ key programs. These include Sikorsky’s CH-53K and P&W GTF (Geared Turbo Fan) engines. On display was the C-17 Globemaster (above). As an Engineering Manager at Northrop Grumman’s Facility at Whitham Field, Vin Padden (President & CEO of Padden DE) had overseen the design, development, and production of the C-17’s flight control surfaces and nacelles. Also on display was the Grumman OV1-D for which Vin had designed the “Seamore Pod”. This pod housed an advanced infrared surveillance system built by Texas Instruments which was first used during the Vietnam War. 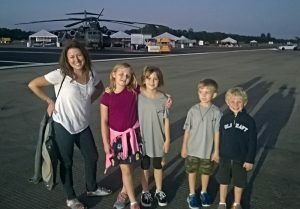 Padden family and friends in front of the Sikorsky CH-53K Helicopter. The C-17 is in the far background. “My family has a special connection to our military, with my father being a part of several aircraft programs for the Air Force, Navy, and the Marines and my uncles and father-in-law having served in the Vietnam War. It’s a day to be in awe of the greatest military machines and the brave men and women who command them to protect and defend our freedom. 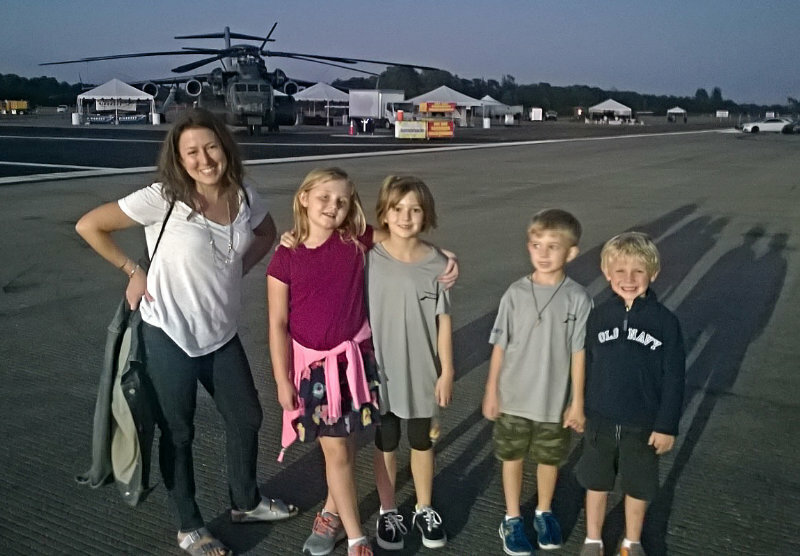 I’m proud to be able to show my kids these incredible aircraft,” said Dave Padden, Executive Vice President and Director of Engineering at Padden DE. Dave also served in the Merchant Marines after attending NY Maritime College at Fort Schuyler, which was the first nautical school established in the United States. 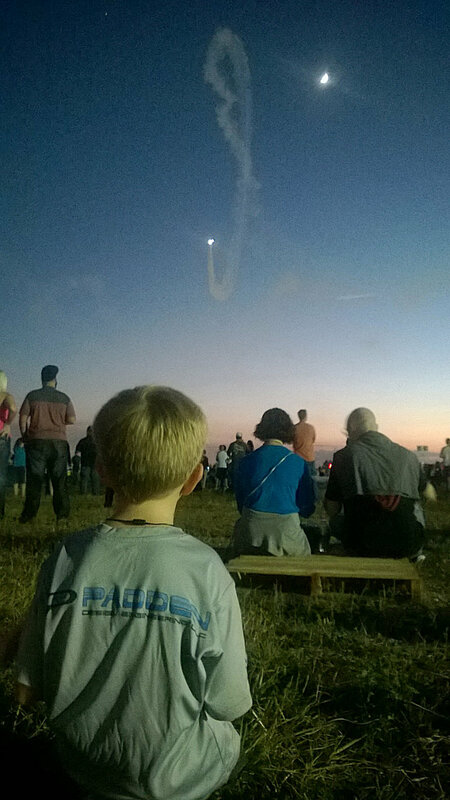 The next generation of Paddens enjoy the aerobatics.